For a showstopping main course, there’s nothing like a smoky, juicy rack of ribs. "Ribs are awesome for a backyard barbecue because they smell and taste like summer," says Tim Love, co-host of CNBC’s new show Restaurant Startup and the chef/owner of Lonesome Dove, Queenie’s Steakhouse, Woodshed Smokehouse, Love Shack, and White Elephant Saloon in Texas. Love is a true barbecue expert and thinks that anyone can learn to make ribs that have the ultimate combination of a crispy crust and succulent meat. 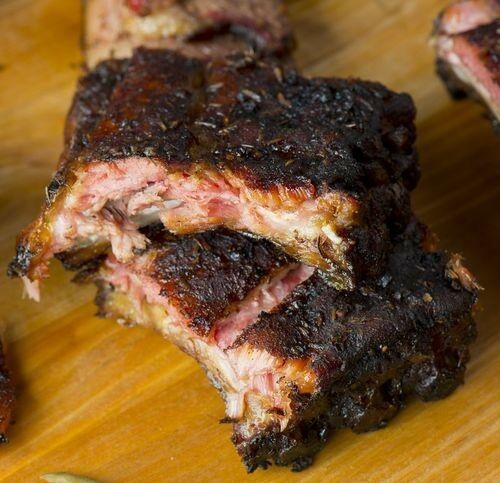 Here, the BBQ guru shares his rules for smoking perfect baby back ribs, and his favorite foolproof recipe. Prepare the grill for indirect heat: If you don’t have a smoker with an offset box, you can build a fire on one side of your grill and then put a piece of foil on the opposite side of the grill. This will create indirect heat.